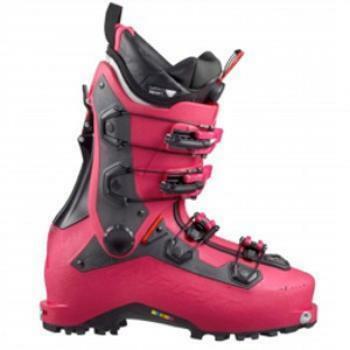 Salewa North America of Boulder, Colo., is recalling about 1,600 pair of Khion ski boots sold in the U.S and Canada. The ski boots can inadvertently switch from “ski” to “walk” mode, the boots’ upper cuffs can separate, and in the Khion Carbon model, the carbon boot shell can crack, posing a fall hazard and risk of injury to the user. The firm has received four reports of the ski/walk mechanism malfunctioning, seven reports of the upper cuff separating and five reports of the carbon boot shell cracking. No injuries have been reported. This recall involves three models of the Dynafit Khion Ski Boots: Khion Boot Men, Khion Boot Women and Khion Carbon Boot. The Khion Boot Men is a dark gray boot with gray, black boot buckles and model number 08-0000061502. The Khion Boot Women is a red boot with black, red boot buckles and model number 08-0000061503. The Khion Carbon Boot is a white boot with green, white, black boot buckles and model number 08-0000061504. Additionally, all of the recalled ski boots have the word “KHION” printed across the toe of the boot. The model number is printed on a UPC sticker affixed to the inside of the tongue of the ski boot liner. The boots, manufactured in Italy, were sold at Christy Sports, Gorsuch, Jackson Hole Sports, REI, and other specialty outdoor stores nationwide and online at backcountry.com, mountaingear.com, MEC.ca, and REI.com from October 2015, through June 2016, for between $800 and $900. Consumers should immediately stop using the recalled ski boots and contact Dynafit for a full refund or a free replacement. Consumers may contact Dynafit toll-free at 844-412-7013 from 8 a.m. to 5 p.m. (MT) Monday through Friday, by email at khion@dynafit.com or online at http://www.dynafit.com/us/blog/news/recall-khion/ for more information.